The plight of Arash Sadeghi, jailed Iranian political activist has further intensified with reports that his medical file inside Evin Prison is missing. Sadeghi has been reportedly told by a visiting doctor that there are no documents of any previous test results in his file. Arash Sadeghi is now suffering from severe asthma, a bleeding stomach and intestinal colitis due to long periods of hunger strike. He is continuously denied adequate medical care and since two months ago, he has been refused any visits with his wife, Golrokh Ebrahimi Iraei who is imprisoned in the women’s ward at Evin. A knowledgeable source reports that Sadeghi was asked by a visiting doctor regarding his earlier test results including endoscopies and echocardiograms since he could not find any reports in his file. This can only indicate that the jailed activist’s papers are missing from his file. The incident comes after the repeated intervention of the Revolutionary Guards in the process of Sadeghi’s medical treatment in jail. The IRGC intelligence officers in Evin have reportedly prevented Sadeghi from receiving needed care on several occasions. Latest reports indicate that Sadeghi is suffering from serious loss of protein and infirmary doctors have recommended replacement through IV injections which can only be done in hospital due to risk of blood cloths. The IRGC reportedly does not allow Sadeghi to be transferred to a hospital outside of prison premises. Arash Sadeghi began his hunger strike in protest to the arrest of his spouse. Golrokh Ebrahimi Iraei was arrested for the charge of being the author of an unpublished story about stoning. After 71 days o refusing food, Sadeghi ended his hunger strike when his wife was finally granted a furlough. He resumed his strike once she was returned to prison. After serious decline in his health and promises from a Prosecutor to heed his demands, he is no longer on hunger strike. 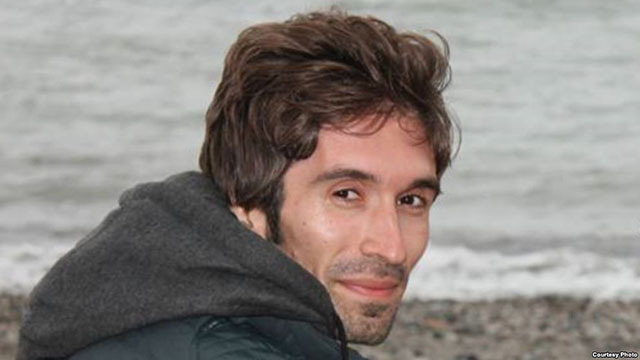 Arash Sadeghi was a student of Allameh Tabatabi University who has been expelled for his political activism. He was arrested in September of 2015 by Revolutionary Guards forces and sentenced a year later to fifteen years in jail for “assembly and collusion against the regime, insulting the founder of the Islamic Republic, propaganda against the regime, founding of illegal groups. His wife was arrested at the same time and sentenced to six years in jail for “blasphemy and propaganda against the regime”. Arash Sadeghi’s sentence was approved in the appeals court and raised to 19 years in prison by adding an earlier suspended sentence. In the course of his arrest, Sadeghi’s mother was hit in the head by an officer and later passed away due to complications from the concussion.